In Iceland there is a tradition going on that is called “Þorri”. So last couple of days have been very high in sugar, and some eat salted lamb with yellow bean soup( I made my own yellow bean soup if someone is interested in a vegan option) . Now is the last day wich is like Halloween were kids go to stores and collect candy after they have sung to the staff members. So know I really want to get back on track and stop all this unhealthy food eating. It starts here with these amazing chips. My new obsession is Kale chips! My son and I ate them all right after they came out of the oven. In Iceland the Kale Chips have not been so popular, but I’ve seen a lot about Kale chips from US bloggers, although you can buy in Iceland some Kale chips ready from the store, imported from US I think. 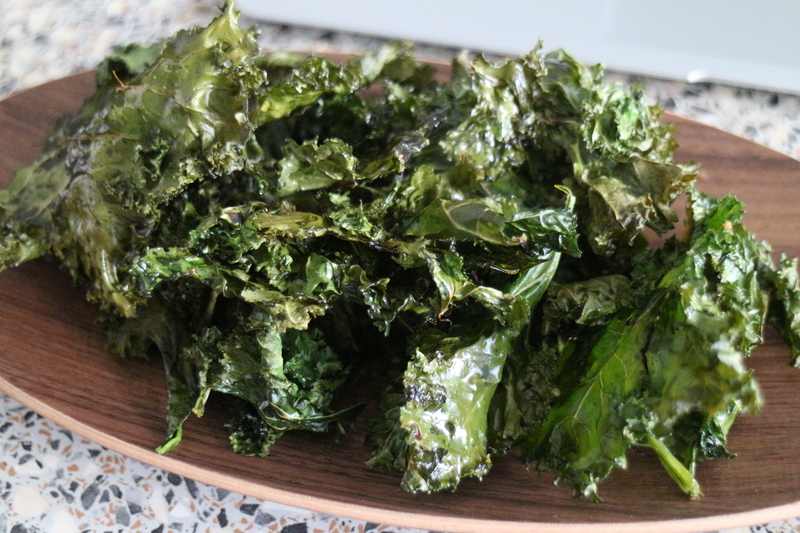 But these are so amazing, my favorite thing about the homemade Kale chips is that you can choose if you want to use oil or if you want to use salt. You can skip it if you want to and season them with something else like paprika and chilli. This takes no time. So you are defiantly quicker to make your own if you have Kale in your fridge, than running to the store and buy something unhealthy. On my Kale chips I like to drizzle a little bit of Olive oil about 1 Tbsp. My favorite seasoning is a tiny bit of sea salt and a tiny bit of red chilli flakes. 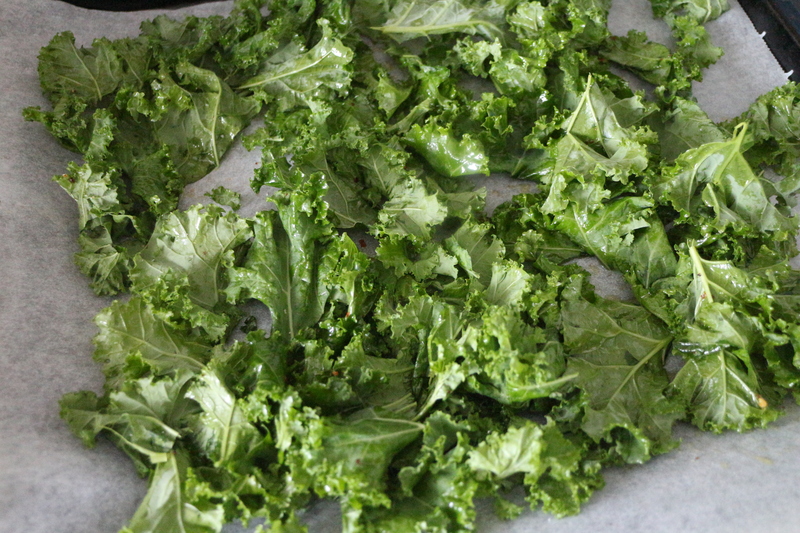 If you have never before made Kale Chips in the oven you are using, I recommend that you watch them very carefully. In my oven I can not leave them for more than 7 minutes at 180°C. The Kale chips are also healthy for you, they are very fragile so watch out when you eat them they can easily break, but for grown people, that should not be a problem, for my son it was a bit of a problem, I had to feed him the Kale chips because every time he would pick one up it would break in his tiny hands. So cute but I felt so sorry for him cause he loved it so much. I really hope you try out this recipe (if you can call it recipe haha). Sounds interesting! I’m not a big fan of kale but I might give this a try. You should try it because I was not big fan of Kale either..